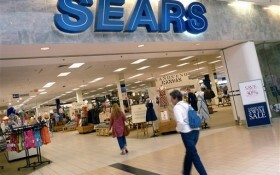 There’s a new bid to save Sears… but will it work? A hedge fund run by Sears Chairman Eddie Lampert said it submitted a last-minute bid Friday to keep the struggling retailer from being liquidated. The retailer that began as a mail order catalog in the 1880s has been in a slow death spiral, hobbled by the Great Recession and then overwhelmed by rivals both down the street and across the internet. Under Lampert, Sears has bought time by spinning off businesses and putting on the block the brands that had grown synonymous with the company, such as Craftsman. The company’s chairman and biggest shareholder, Lampert loaned out his own money and put together deals to keep the company afloat and to turn whatever profit he could for ESL hedge fund.